Research assistants Emil Briones, Shannon Hutcheson, Sarah Lewington, Alastair Hibberd, and Christopher Dietzel are presenting at the 16th Annual Education Graduate Students’ Society (EGSS) Conference. 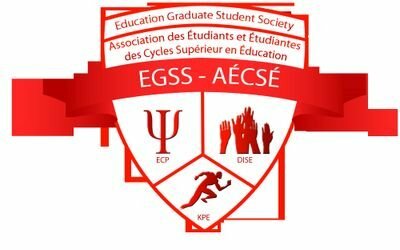 The 2017 EGSS Conference theme is “Culture and Community in Canada: Education for All" -- and serves as an avenue to highlight research concerning various cultural and community groups’ experiences within the Canadian educational context, through a lens of social justice and advocacy, and informed by evidence-based research. In striving to reach this goal, the EGSS Conference includes workshops, oral presentations, and posters numerous important topics discussed by students and faculty. Emil, Shannon, and Sarah are presenting a session titled "Using Political Cartoons in a Dialogic Space to Explore Racial Neoliberalism on the Ground." Alastair Hibberd is presenting his Master's thesis research, entitled "How University Policy Makers Perceive Sexual Violence on Their Campus." Christopher Dietzel is presenting his Master's thesis research about "International Students’ Conceptions of Education, Leadership, and Citizenship." The full schedule is available here. More information about the 2017 EGSS Conference can be found here.